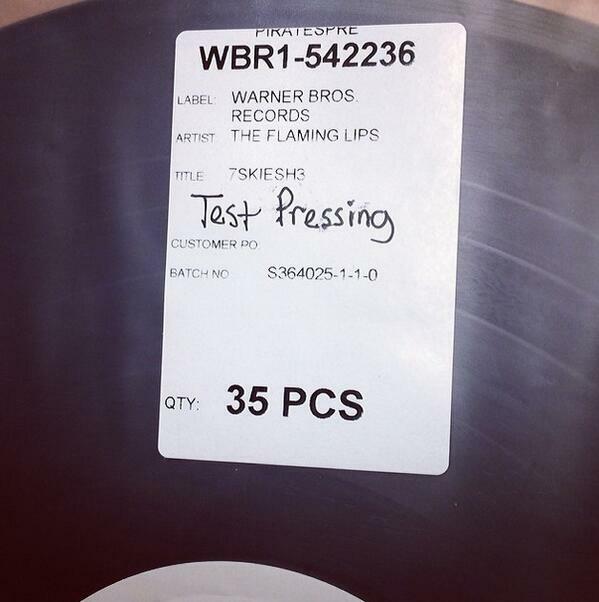 Flaming Lips Announce Record Store Day Release of “24 Hour Song”. The legendary Flaming Lips confirmed a Record Store Day release (founded in 2007 to celebrate the release of vinyl for collectors) for the new vinyl edit of their 24 hour song “7 Skies H3”. Initially the band discussed releasing an abbreviated version in 2013. A short time later it was reported that an 80 minute edit was the plan. Then Wayne Coyne told Alternative Press in an interview last December the following; “We made 17 of those [2011 skulls containing “7 Skies H3”] but that music is – a lot of people really, they want to hear bits of the music but it’s quite a commitment. So Dave Fridmann and his son have engineered a couple of times this 24 hour song down to three albums, two albums and a one album version…I’m going to listen to all those and see if maybe we would release something that takes the 24 hours, sticks it on something manageable – like a couple of records – and maybe we’d release that. Sounds like it could be really fun. And when I go back and re-visit that music I think fans would really love it.” We are glad to report that it has been confirmed that a single LP will be released on Record Store day, April 19th.